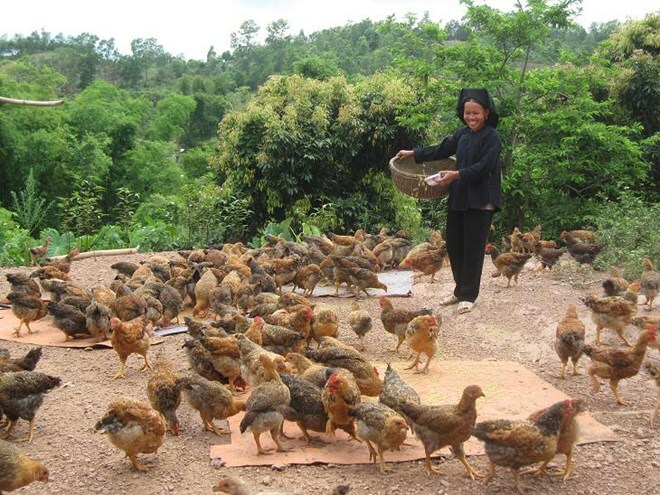 Bac Giang (VNA) – The northern province of Bac Giang aims to reduce the household poverty rate by two percent each year from now to 2020, said Vu Hong Minh, Director of the provincial Department of Labour, War Invalids and Social Affairs. This includes reducing the current rate of 13.93 to 11.93 percent by year’s end, while the target for the poorest districts and communes is a four percent cut. To achieve these goals, Minh said the province would focus on raising awareness of poverty-reduction policies as well as accelerating programmes and projects. The province wants to implement the Sustainable and Rapid Poverty-Reduction Project in Son Dong district under the government’s resolution 30a and the project on supporting infrastructure investment and sustainable poverty reduction in 36 extremely disadvantaged hamlets. According to Minh, poverty-reduction efforts are hampered by ineffective investment and support policies and a lack of self-help from officials and people. Bac Giang currently uses the 2011-2015 criteria to determine poverty with a rate of 7.31 percent and a near-poverty rate of 5.69 percent but the respective figures under the 2016-2020 multidimensional criteria are 13.93 percent and 8.19 percent. The 2011-2015 criteria mainly uses income to determine poverty while the 2016-2020 includes many factors like household assets and accessibility to various services.